DUI entering Canada: you will be rejected at the Canadian border! DUI offenders and others with criminal convictions will be rejected at the Canadian border! Having a DUI in the U.S. or other criminal conviction generally renders U.S. Citizens inadmissible to Canada. Many people are unaware of this, but find out about it when they try to cross the Canadian border. Depending on how long ago the end of the sentence for the DUI or other criminal conviction was, travelers to Canada will need to apply for either a Temporary Residence Permit or file an Application for Rehabilitation, either of which generally takes 6 to 12 months to process. In addition, depending on a number of different factors, the supporting documents required in support of either of these applications may take anywhere from a few weeks to several months to prepare. However, many people may need to travel to Canada sooner than that. Therefore, it is essential that anyone who has a DUI or other criminal conviction, who may be considering traveling to Canada either in the very near future, or even within the next 6 to 12 months, obtain a consultation from a licensed professional in order to better determine a realistic time-frame in which it might be possible to obtain the necessary permission to be able to do so. Los Angeles Registered Canadian Immigration Consultant Kelly Giles knows how to get expedited processing of these applications for those individuals who can document their urgent need to travel, so instead of waiting 6 to 12 months, they can be issued within a matter of weeks. 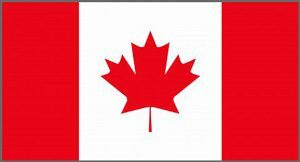 If you are interested in seeking assistance in being able to enter Canada having a DUI or other criminal conviction in the U.S., please contact our office for an appointment, so that we can better determine a realistic time-frame for obtaining the necessary permission for you to be able to travel to Canada without fear of being turned back at the border. If you are interested in seeking assistance in being able to enter Canada having a criminal record, please contact our office for an appointment. Ask Us: DUI on your record?